Voice of Desdemona is recorded. Othello: The Remix is forging its own path in musical theatre, led by its creators The Q Brothers. With only four actors, Othello is updated and brought to life with a hip-hop beat in a way that respects the source material but isn’t afraid to take some parts and remix them. 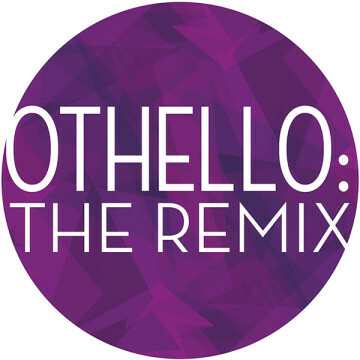 Othello: The Remix was commissioned for the Globe to Globe Festival by Shakespeare’s Globe, Chicago Shakespeare Theater and Richard Jordan Productions. Since its world premiere on May 5, 2013 as part of the London 2012 Cultural, it has toured widely, captivating audiences at the Edinburgh Fringe Festival, Australia, Germany, South Korea, Poland, New Zealand, and United Arab Emirates. Over the years, it has garnered tremendous acclaim and honors, including Edinburgh’s Musical Theatre Matters Awards for Best New Musical Theatre Show and Best Lyrics, as well as a Joseph Jefferson Award for Best Ensemble. The show is a past recipient of a Writers Residency Grant from NAMT’s National Fund for New Musicals. Chicago Shakespeare Theater Production in April 2016. Off-Broadway production, produced by John Leguizamo, opened in November 2016 at the Westside Theatre. Commercial option. Othello: The Remix is performed entirely to track and is under 90 minutes at full length. It is a musical and an opera of sorts, because all scenes are over music and in verse. It requires a cast of four raptors (rapping actors) plus a DJ. However the cast could be made larger by "undoubling" roles. We are excited for alternative casting opportunities. Audiences in 11 countries have experienced the joy of The Remix, but folks in the US have yet to discover it, except for those who caught our highly-acclaimed 6-month run at Chicago Shakespeare Theater. A water molecule is made up of two atoms of hydrogen and one atom of oxygen, and the four actors in Othello: The Remix drink tons of them, as they rap, dance, and play over 25 characters combined! We are open to and excited for a New York run, touring possibilities, regional productions, licensing opportunities and the show eventually making its way to the big screen.